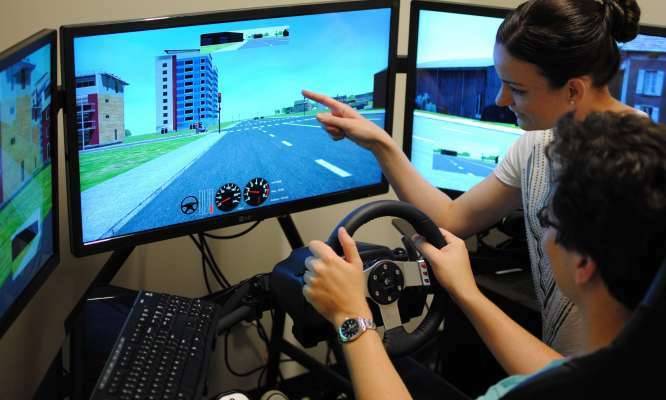 The research recruited young drivers and told them they would be fined at one, six or 11km/h over a 50km/h limit before putting them through their paces on a driving simulator. It found people who drove under the stricter conditions were less likely to spot red dots that appeared in their peripheral vision. They also reported a higher mental workload. Lead researcher, Dr Vanessa Bowden, says participants who were told they would be fined at 1km/h over the speed limit were 10-20 milliseconds slower to respond to the dots than those told they would be fined at 6km/h over. Drivers fined at 1km/h over also missed 14% of the dots altogether, compared to 12% for 6km/h over. "They missed 2% more, which is, in driving terms, kind of a big thing," Vanessa says. "We came to the conclusion that [monitoring speed] is eating up their limited pool of visual and mental resources a little bit and taking their attention perhaps a bit away from the task of safe driving." Drivers fined at 11km/h over the limit missed only 10% of the dots but were no slower to react that the 6km/h group. Police are typically reluctant to comment on the speed at which drivers will be fined, but most people believe the tolerance to be about 10%. This means drivers would be fined above 55km/h in a 50km/h zone. 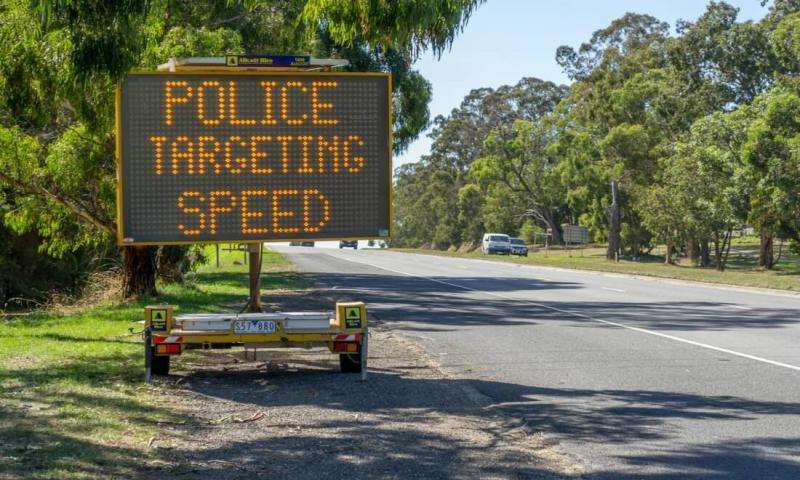 But Victorian Police have come under fire for speed tolerances of just 2km/h for fixed speed cameras and 3km/h for mobile cameras. And in Queensland, the State Government was accused of revenue raising after it twice lowered the enforcement threshold in 2013. "It's hard to get an exact idea of when people are going to be fined," Vanessa says. "I'm not sure people necessarily know… so it could potentially be that a bit more consistency there might be helpful." Vanessa hopes to follow up the research next year by adding hazards such as a car braking, pedestrians and cyclists into the driving simulator. This might show if enforcement thresholds can affect driver response times. "It's what we want to do next with this, is see if it actually translates into more accidents," Vanessa says.